Your heroism and service is honored today, the 38th anniversary of your death. Your memory lives and you continue to inspire. Thank you for your service. My cherished son Larry Lasater was a fellow police officer who was murdered in the the line of duty on April 24, 2005 while serving as a Pittsburg, CA police officer. I would like to say "THANK YOU" to everyone involved in creating this site ! 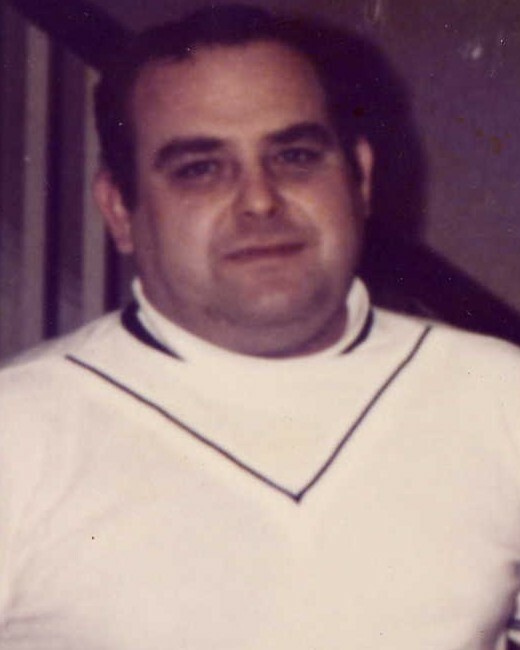 It has been 36 years since my Dad passed away.I can't believe it's been that long and at times it seems like yesterday. I am proud of my father and the work he did for the PA. Liquor Control Board. Being his namesake I always tried to live a life that would make my Dad proud to say that's my daughter. I would love to hear from anyone who knew my Dad personally. Even though we never met, I know you have always been the driving force behind my mom, aunts and uncles. They have been the foundation of our family -- the cheerleaders on the sidelines who push us to our limits and the ones who pick up the pieces when we crumble. Something tells me these are the traits that you instilled in them. Thank you for giving us the greateset gift - AMAZING parents who emulate their father's dedication to family. As my career's end is coming closer, I decided to check and find those who had lost their lives during the year that I was hired. While it's been a long time since your passing, I'm sure those you left behind and those whom with you served with distinction have kept you alive in their memories. Thank you for your service and for looking out for us who continue in our chosen profession. Rest in peace Officer Hetrick. Sadly it took your death for some to recognize the life you lived. I honor you on this day and, for you sake, want to say thank you to all who will read this and can know while they are still here how much I respect and appreciate them. Every time I see an officer, I try to remember to say a prayer for them. Though time has passed, your service will never be forgotten. Here's honoring you today and everyday. THE POLICEMAN STOOD AND FACED HIS GOD, WHICH MUST ALWAYS COME TO PASS. HE HOPED HIS SHOES WERE SHINING, JUST AS BRIGHTLY AS HIS BRASS. "STEP FORWARD NOW, POLICEMAN. HOW SHALL I DEAL WITH YOU? HAVE YOU ALWAYS TURNED THE OTHER CHEEK? TO MY CHURCH HAVE YOU BEEN TRUE?" THE POLICEMAN SQUARED his shoulders and said, "No, Lord, I guess I ain’t. Because those of us who carry badges can’t always be a Saint. I’ve had to work most Sundays, and at times my talk was rough, and sometimes I’ve been violent because the streets are awfully tough. But I never took a penny that wasn’t mine to keep, though I worked a lot of overtime when the bills just got to steep. And I never passed a cry for help, though times I shook with fear. And sometimes, God forgive me, I’ve wept many unmanly tears. I know I don’t deserve a place among the people here, they never wanted me around except to calm their fear. If you’ve a place for me Lord, it needn’t be so grand. I never expected or had too much, but if you don’t, I’ll understand." There was silence all around the throne where the Saints had often trod. As the policeman waited quietly, for the judgment of his God. "Step forward now, policeman, you’ve borne your burdens well. Come walk a beat on Heaven’s streets, you’ve done your time in hell."